Here's our collection of fun and easy vegan falafel recipes. All the vegan falafel recipes have step-by-step instructions. We hope you love them as much as we do! Falafel burger with pita taco is one great vegan burger there is no doubt about it. If you have not eaten falafel then you are really missing out and it is so easy to make. There is not much you need to complement this burger maybe some onion, tomato or sauce to turn it into a great lunch or dinner. Make the falafel in your food processor and then pan fry the falafel burger. 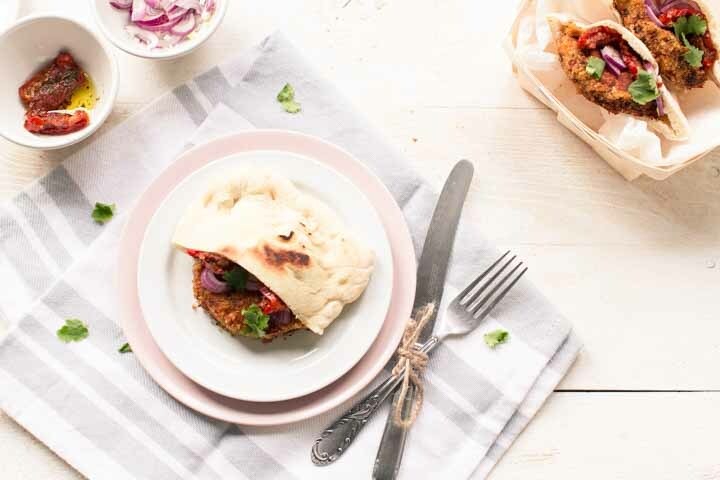 Want to learn how you can make this falafel burger with pita taco? Lets get started!